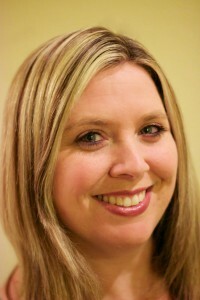 I am a certified Gentle Sleep Coach and an Early Childhood Education Consultant. I provide Coaching and Consulting services to families in the greater Sacramento area. Child development and early childhood are my specialty! I received my BA in Child Development from Sonoma State University in 2000 and have completed all the coursework for a MA in Leadership Administration. I received my certification as a Gentle Sleep Coach directly from Kim West. I have been working with children 0-5 and their families for over fifteen years in the Early Childhood Education field. I have provided parent trainings and information on topics ranging from child development, to kindergarten readiness, to sleep education. My experience has also extended to working with preschool teachers on classroom interactions and relationship building. 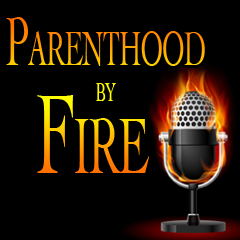 One of the many activities I participate in outside of work is that I am a co-host of the Parenthood by Fire podcast. Every week I chat with a few other parents about the challenges and good times of being a modern parent. The show it a lot of fun to record. Even if you haven’t listened to a podcast before, check out our website. It’s free, and you can listen to the show in either your browser, smart phone, tablet, or whatever. Enjoy! 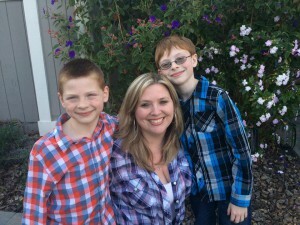 The most interesting and pertinent position I hold is that of Mom to two young boys! It is through my work in parenthood that I learned how to both empathize and sympathize with other parents. For as knowledgeable as I am about developmental milestones, great circle time activities, and kindergarten readiness, I had to call Kim West for help getting my own kids to sleep! My husband and I were sleep deprived and we knew the boys weren’t getting the quality sleep they needed to grow and develop. We needed someone to educate us, point out where we were going wrong and guide us back to the right track. From a child development perspective, Kim’s techniques are appropriate and effective. I am proud to say that our boys are still sleeping great over a year later! My work with Kim saved my sanity and helped our whole family become well rested. The best way to relate to the issues, troubles or concerns of another person, is to have survived a similar experience. I am happy to share my experience with other parents and help guide families to a better night sleep.